Ruth White - meherbabatravels jimdo page! 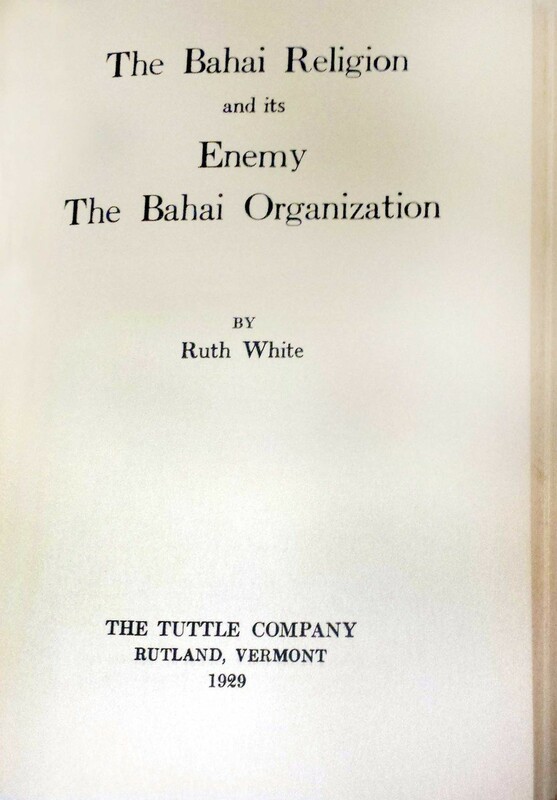 Ruth White " My Soldier " or " Old Soldier "
Nicknamed "Energy," Marion Florsheim of Jackson Heights, New York, was appointed by Baba to make all the necessary arrangements for the trip. 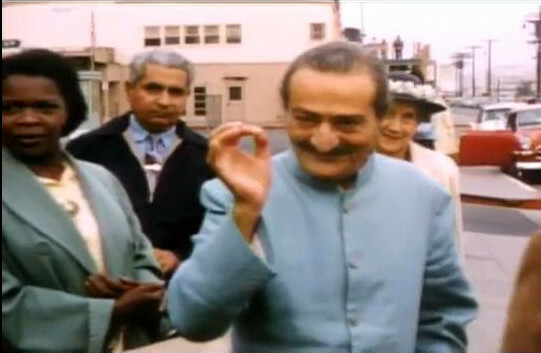 The Meher Baba Hospitality Committee was formed, with Marion as chairman, Fred Winterfeldt as vice-chairman, and seven other members elected from his following in New York, to raise the estimated twelve thousand dollars in expenses for Baba and four men mandali to come. 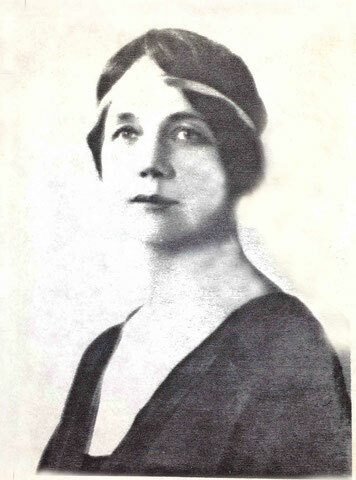 Committees were also set up by Elizabeth Patterson in Myrtle Beach, Ruth White in Los Angeles, Agnes Baron in Ojai and Lud Dimpfl in San Francisco. Ivy Duce and Don Stevens formed a publicity committee. 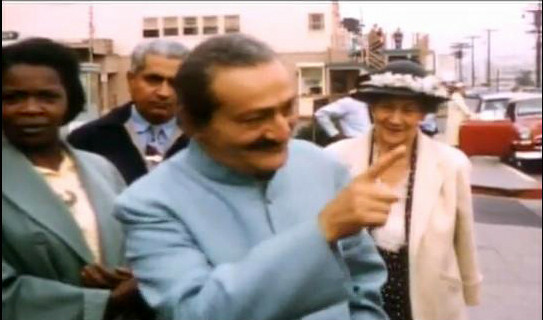 In Europe, Will Backett was making arrangements in London; while in Switzerland, Hedi Mertens and Irene Billo prepared for Baba's stopover in Zurich. 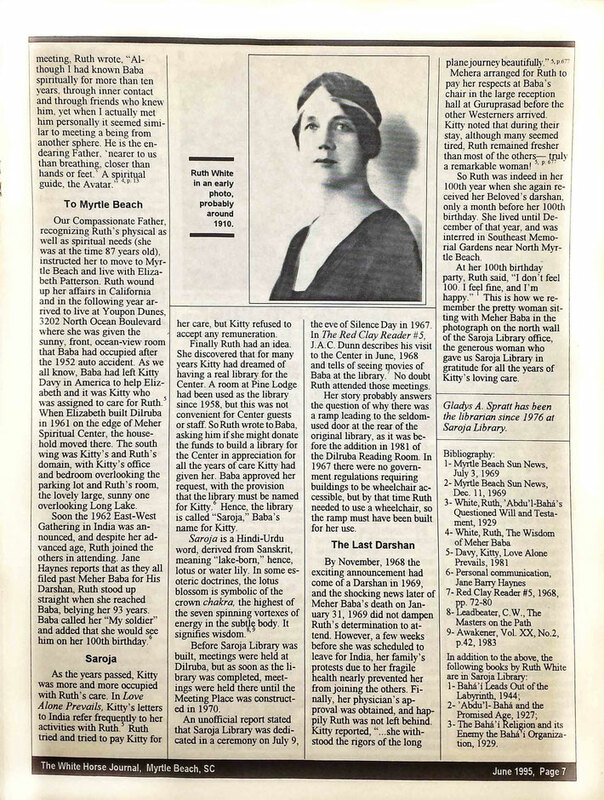 In Australia, Francis Brabazon, Bill Le Page and Ena Lemmon were setting up accommodations, appointments and meetings in Sydney and Melbourne. 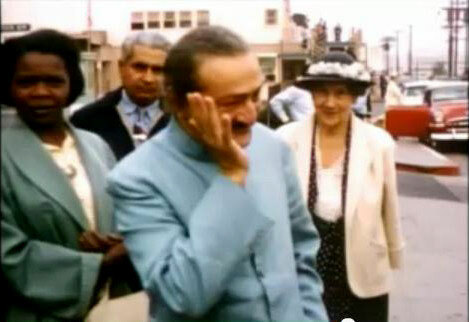 Early in the morning, before seven o'clock, on July 25th, Baba's car arrived at the Guest House ( Myrtle Beach ) , where he ate his breakfast of tea and toast. At about 7:30, he came into the kitchen where his lovers were having their breakfast. The mandali remained outside. Baba then came out and sat down on one of the log benches outside the Lagoon Cabin, where he called a few such as Filis Frederick , Ruth White and Margaret Craske , individually over to chat while the rest lingered not far away. In the early morning sunlight, a mist was rising over the lake, and Baba pointed out the lovely scenery and remarked, "Isn't this a beautiful place?" 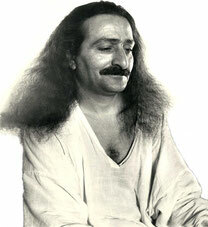 Baba sat down under a fruit tree in a secluded corner of the garden, and his lovers sat about him on the grass. 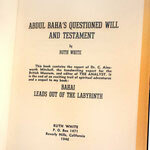 An elderly woman named Ruth White, eighty-six, had first heard of Baba through Malcolm Schloss in July 1945. 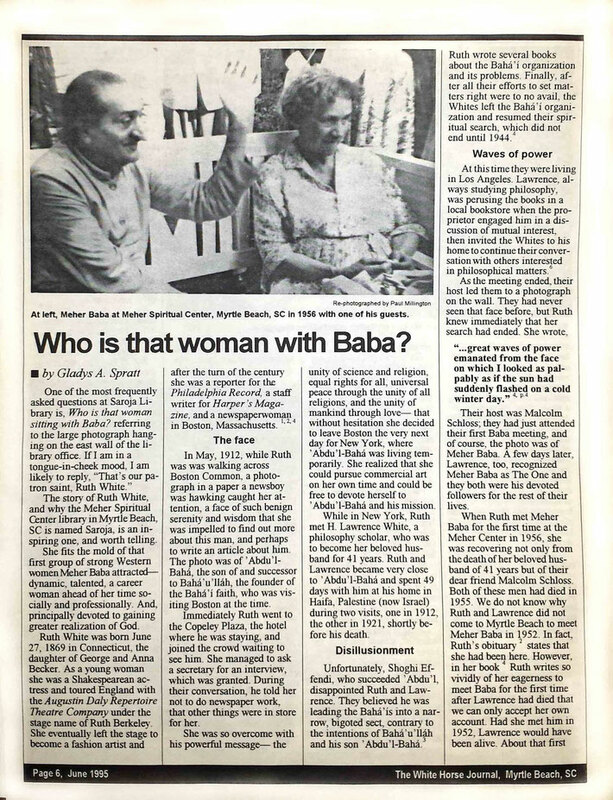 She subsequently wrote to Baba and became very involved in his activities. Noting that she was not among them, Baba sent Kitty Davy to find her. She had felt too tired to follow. The group flew from Wilmington at 1:10 P.M., on National flight 320. Baba was to stop for the day in Washington, D.C., en route to California. On board, Eruch brushed out Baba's hair and retied it in a pigtail. Afterwards, Baba told him to give the stray hairs from the brush to Ruth White, sitting across the aisle. 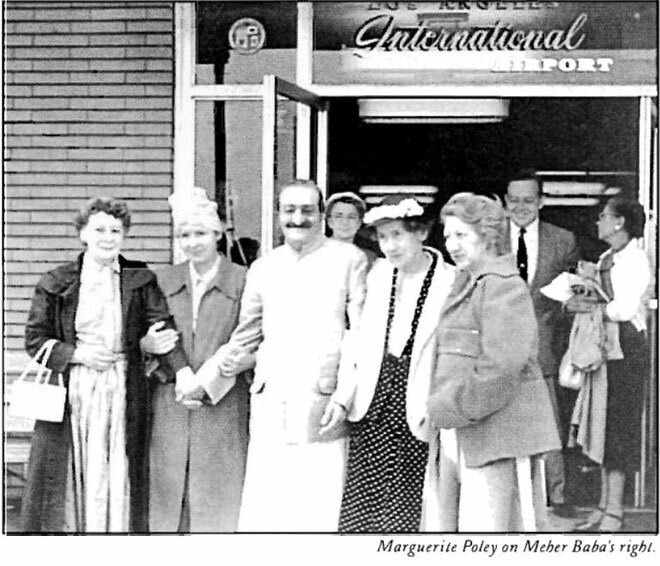 While Baba, the mandali, Elizabeth, Ruth White and Margaret Craske were at Ivy Duce's house, the rest of the group was to go sightseeing – but not to go to a movie. 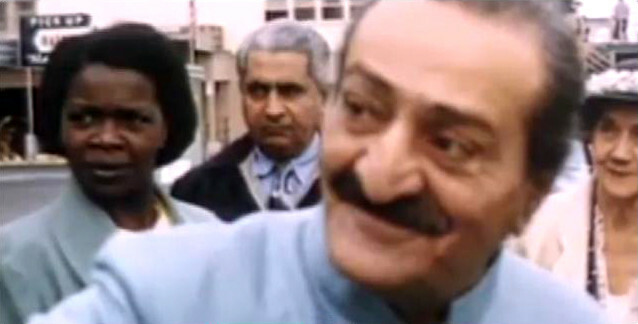 A special bus had been chartered for them, and Baba later told Dana Field, "While you were riding around, I worked through you!" After meeting with Ruth White and Hilda Fuchs privately, Baba rested in a bedroom for a few minutes. 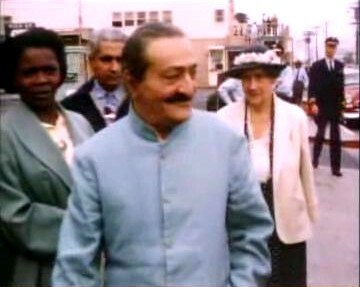 Baba and the group then left for the large restaurant next door to Hilda's, called The Garden of Allah, where there was to be a dinner that evening arranged by Hilda. All had assembled and were awaiting his arrival. Don Stevens welcomed Baba, and Ruth White read a poem. The morning was filled with interviews. The mezzanine was jammed with people. Hilda Fuchs wished to hold meetings at her house but wanted someone to help her. 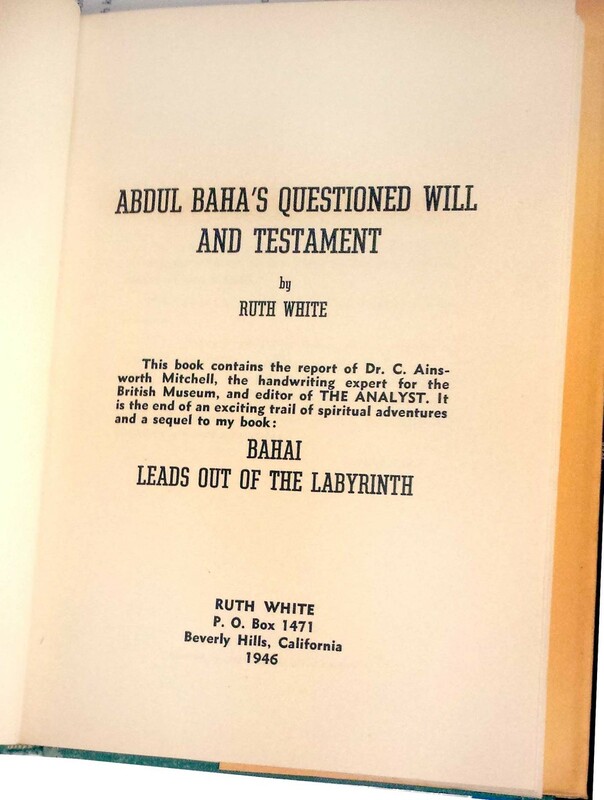 Baba said he would ask Ruth White. Baba assured Hilda, "You will always be with me. You are in me." LSLP;Jan-March 1998 p.15 - Los Angeles Int.Airport - Ruth is on Baba's left. Lud Dimpfl is standing behind. That evening, they left for the Cow Palace, Baba bundled up against the fog with wool socks, a red wool jacket, white cotton trousers and a red paisley scarf. As they waited for the cars, he jokingly tried on Charmian's white fur toque. As soon as they arrived, Baba asked where Ruth White was. He had Kitty Davy phone the hotel to locate her. Baba enumerated those who "must come," accentuating this by hitting his palm with his fist. "Elizabeth without question. Ruth White, even if she is about to drop her body. If Harry Florsheim does not die, he must come. For Frank Hendrick it will be a real effort. Ben Hayman ..."
Ben answered, "It would not be official if I were not there!" Baba arrived at Muir Woods and asked the Shaws to lead the way into the redwood forest with its gigantic trees (the oldest living, growing things in nature) and show him the Ancient Tree. The children flocked around him, hanging on to his arms like bright birds. Walking among the redwood trees, Ruth White recalled: "As our eyes soared upward to their incredible heights, we knew that the One beside us soared above us spiritually as these redwoods soared above every living thing on earth." Baba paused for a moment before the giant redwood tree over one thousand eight hundred years old, and sat down in a hollow of the huge trunk. He closed his eyes, and it seemed the living Buddha had returned and was seated under the sacred Bodhi tree. Darwin Shaw took a snapshot. Then Baba stood up, looked the tree over and seemed uninterested in seeing the rest of the park. He asked Kitty when lunch was scheduled, and on hearing they were late, signaled for all to return. 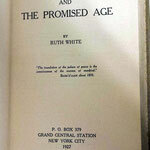 The elderly Ruth White arrived late, and Baba had someone tell her about the program up to May 29th. Then he asked, "Who did not sleep well last night?" 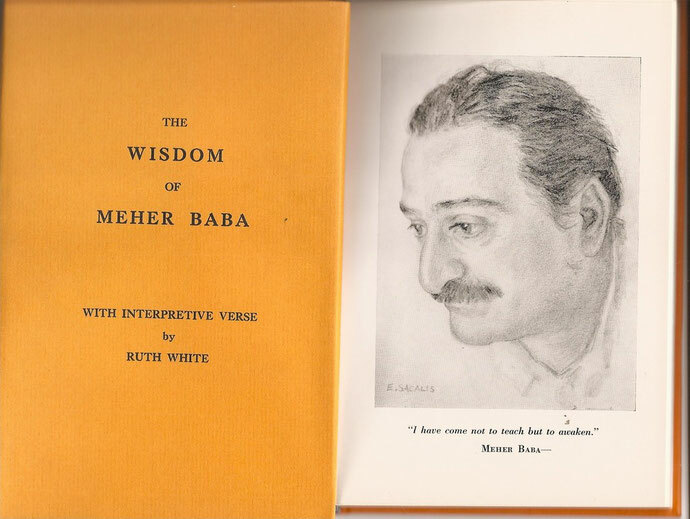 AFTER SATURATING every part and particle of the Meher Center with his love, Baba left Myrtle Beach with Kitty, Elizabeth and the mandali at 5:30 A.M., just as dawn was breaking. He stopped at the Lagoon Cabin and bid his lovers farewell. Mrs. Houston was waiting at the Briarcliffe gate, and Baba stopped to embrace her. Jane Haynes and Ruth White followed in a second car. The main party of the sahavas group had gone ahead to Wilmington in three buses. 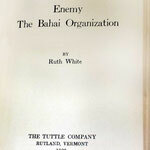 Ever thoughtful, Baba signaled for chairs for Ruth White and Filis Frederick. 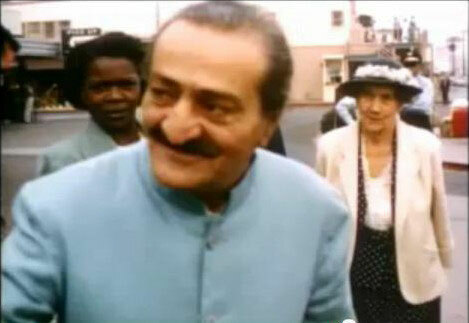 Near the end he embraced Kitty and Elizabeth and Frank Eaton, the caretaker at the Center. All cheered when ninety-three year old Ruth White walked unaided up the aisle and embraced Baba. He gestured to her, "My soldier!" On Saturday, November 10th, 1962, Baba left Poona for Meherazad with the men and women mandali. He stopped at Bund Gardens at 8:00 A.M., where the Poona lovers had assembled. 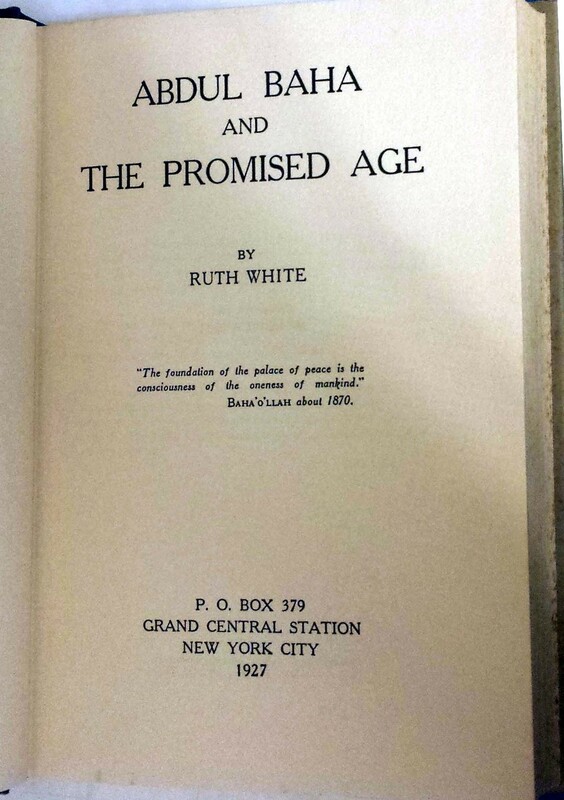 About sixty-five of the Westerners, including Elizabeth, Kitty, Jane, Wendy and Charles Haynes, Ruth White and Bili Eaton, had also come. They were delayed because of a problem in booking their return flights. Baba sat in a chair for a while and departed after his arti was sung. Lovers pressed around his car to kiss his outstretched hand as he left. SHE LIVED WITH ELIZABETH PATTERSON AND KITTY DAVY IN DILRUBA AND DONATED MONEY TO BUILD SAROJA LIBRARY ON MEHER CENTER, MYRTLE BEACH,SC. SHE ALSO WROTE A BOOK OF POETRY ABOUT BABA. 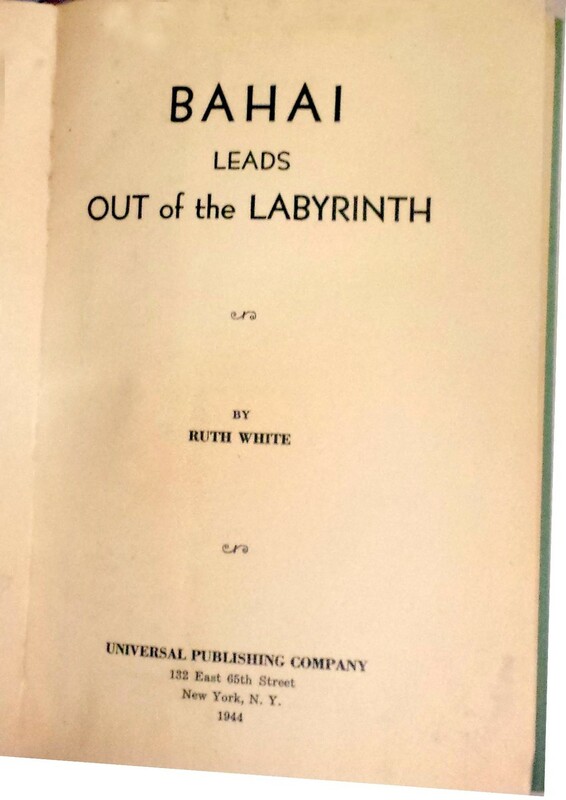 Ruth White was an author for the Bahai Movement before she came to Meher Baba. 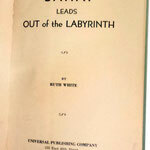 The following are her publications on that subject.